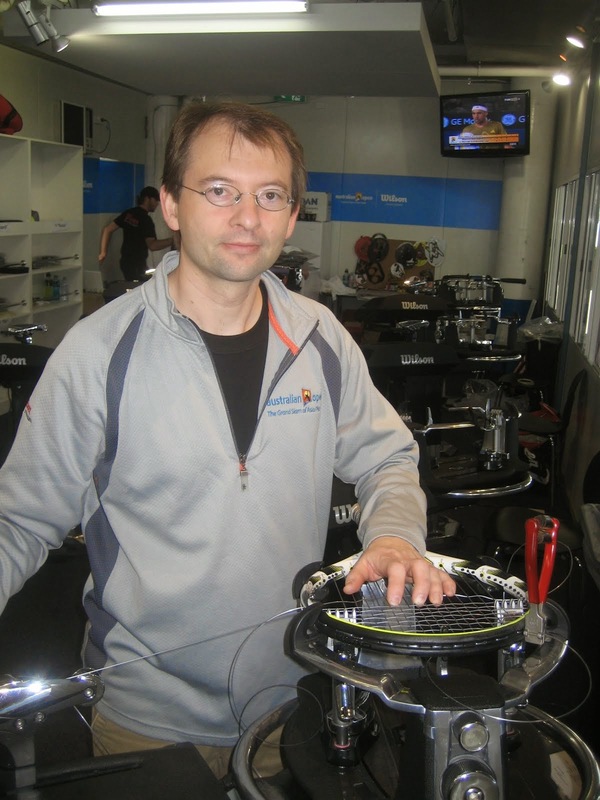 1:1 Coaching / Stringing Lessons / Complete Racket Stringing Business. While I was preparing to get the 30 Day program together ( which is still being perfected!) I ran across an article at Entrepeneur.com titled "10 tips for a Strong Start - by Brad Sugars. I found the tips to be a great integration into the 30 day plan here. I will work in the tips as we progress through our 30 Day Program. I will also share some personal mistakes and tips from my journey. 1. Offer what people want to buy, not just what you want to sell. 2. Get cash flowing ASAP! 3. Always find new ways to keep costs low. 4. When planning, always overestimate expenses and underestimate your revenues. 5. Focus on sales and marketing manically. 6. Find ways to exponentially increase profits. 8. Accept that learning more equals earning more. 9. Don't discount, add value. So for day one I will leave it at that. Everyday we will take it step-by-step. You will get resources, links, tips and everything you need to make this a reality for you. I have been stringing for over 25 years and want to share my knowledge and expertise here. I need to make a few presumptions here and prerequisites for moving forward. 1. I am assuming you know the basics of how to string a racket. If you don't know how to string, you can still follow this 30 day program and I would recommend taking the "beginning stringing course. I will be rolling this out shortly. 2. I am not assuming you have a machine necessarily, we will cover that later. If you have a stringing machine, great this puts you a little ahead in terms of getting started. Ok so let's dive into Day 2: BUSINESS NAME AND STRUCTURE OF THE BUSINESS. Today we will be looking at creating a part-time structure for getting a stringing business started. Forming a business structure etc. I am keeping each day to one or too tasks mainly so that you can take ACTION! I am not giving any legal advise so I would recommend you consult someone who can. I have found it useful to visit my local library and get some books on starting a business. There are benefits to setting up the various types of structures and the most important thing that I want to emphasis is that in order to qualify for wholesale pricing you really need to operate this as a business! There are a few ways to get discounts without and I will share those with you later but to get the deeper discounts it is critical to set your stringing business up under one of the recognized groups. Here are a few books you might want to check out (click on the image to be taken to Amazon). So for day two I would write some ideas in my journal about the various business structures and the benefits of each, start thinking of a Business name and contact your local city to find out about setting up a small business. DAY 3: At this point it would have been helpful to have some ideas and notes on paper regarding what you want your business to look like. This will help you focus your actions in the coming weeks and set you up for making this a reality. I wanted to take day 3 to discuss what you will need in order to start your business. The list here is to get you to start brainstorming, you might have additional things as well. 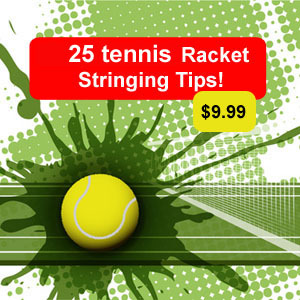 tennis strings ( start with a few lines in synthetic, multi-filament and polyester ), reels or sets. This list is just the starting point. We will fill in more specifics and answer the questions to take action on each with a estimate of costs as well.